Mahdiya today - Mahdiya as a fishing village has a 'lazy town' reputation, a town where time stands still. However to just dismiss Mahdiya as a fishing village would be hasty as this former Fatimid capital has plenty to justify a visit. Photo Credit: Glyn Willett, UK. Copyright. Please click for enlargement. Al-Mahdiya was the first capital of the Fatimids, and was built in 913 by the 11th Ismaili Imam/first Fatimid Caliph, al-Mahdi. The city functioned as a port from which the Fatimids launched their campaign to conquer Egypt, which they did in 969. Thereafter, the capital shifted to Cairo. Architecturally the most significant building in the town is the Great Mosque built in 916. This is the earliest surviving example of a Fatimid mosque. The design of the mosque differs considerably from earlier North African mosques as it had no minarets and only one monumental entrance giving it the appearance of a fortress rather than a mosque. It is believed that the entrance was reserved for the Fatimid Imam, his family and court. The other features of the mosque included a courtyard with single arcades on all four sides, and a sanctuary with a T-shaped arrangement of nave and transepts. Simerg is indebted to Glyn Willett of the United Kingdom for providing the following photos of the Fatimid port, the ruins of the city’s fortifications and the al-Mahdiya mosque. Willett maintains a strong presence on the Virtual Tourist Web site, and operates under the user name Willetsworld. Many of the photos produced below may be clicked for enlargements. 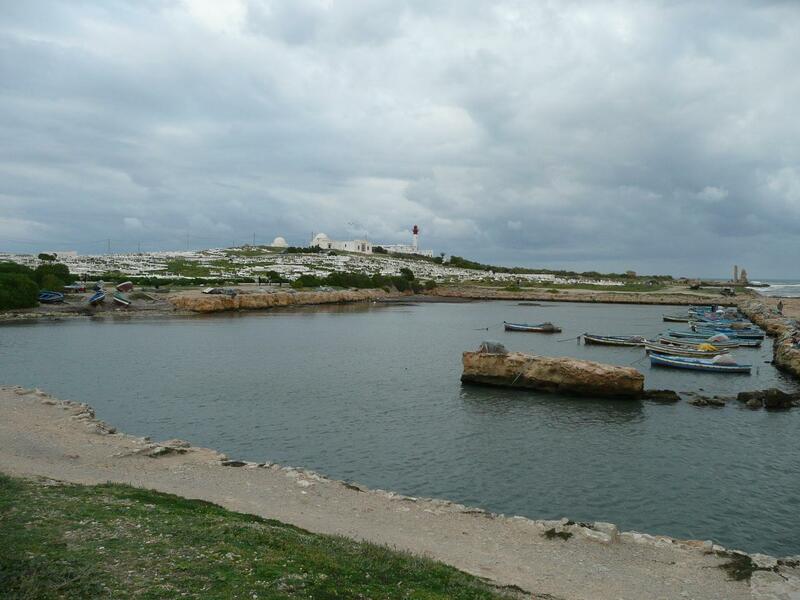 On the southern coast of the peninsula are the remains of the Old Harbour which was used by the Fatimids and, much earlier, by the Romans. It measures 126m (138yds) by 57m (62yds). Very little remains of the Fatimid port. On both sides of the narrow entrance channel, 15m (16 yds) long, there were two Fatimid watch towers with a chain suspended between them. The base of these towers are still there, but it is hard to imagine what it must have looked like. 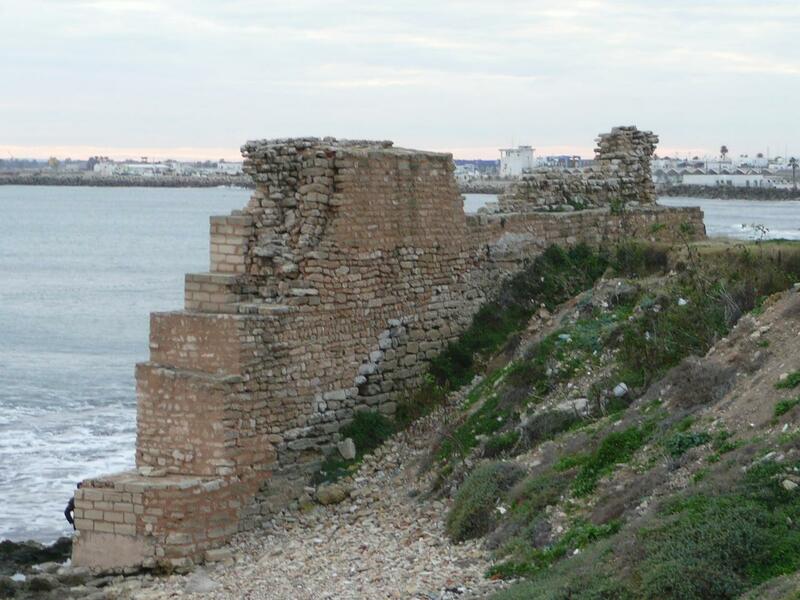 Further along the coast are remains of Fatimid fortifications (see below). Fatimid Port, Mahdiya, Tunisia. Photo credit: Glyn Willett, UK. Virtual Tourist. Copyright. Please click for enlargement. Also on the southern side of the peninsula are the remains of the original Fatimid walls that were built during the 10th century. The museum beside the Skifa el-Khala gives some idea of how the fortifications and the rest of Mahdiya would have looked during the Fatimid times. The first floor of the museum has a reconstruction plan. Ruins of Fatimid Fortification, Mahdiya, Tunisia. Photo credit: Glyn Willett, UK. Virtual Tourist. Copyright. Please click for enlargement. 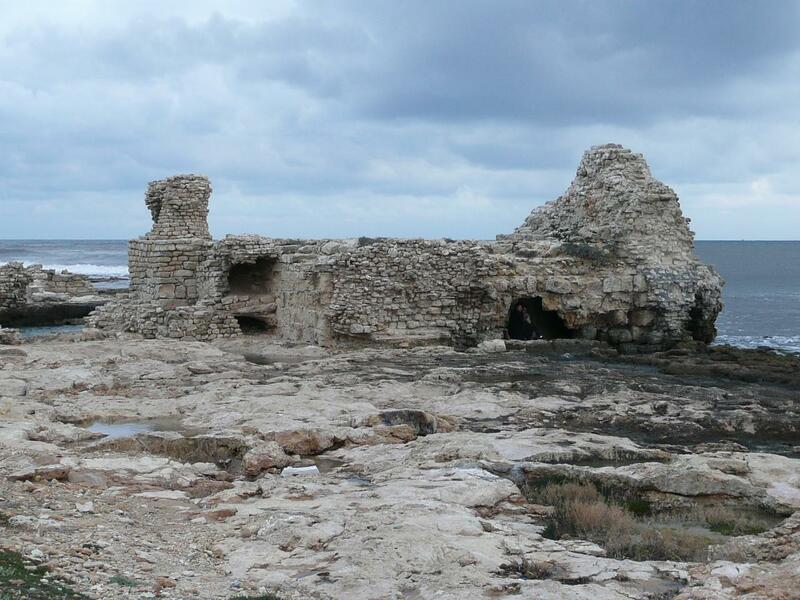 The Ajdabiyah area appears to have been a major Islamic centre during the early Islamic period in Libya, especially around the 10th century, when the Fatimids began to arrive in what is now Libya. Two ruins remain that date from the Fatimid dynasty: a spectacular qasr, or fortress, and a mosque. The buildings have been documented by travelers throughout history and were excavated in the 1950s and 1970s respectively. The Ajdabiyah Fortress Palace was most probably commissioned by the 2nd Fatimid Caliph, Imam al-Qaim, during the late 930’s. It has a rectangular base 33 metres long and 25 metres wide, with circular corner towers, and with more towers in between each two corners. The palace is regarded as one of the most important 10th century monuments in the whole of North Africa. It has a grand entrance complex, leading to a central courtyard 14 metres square, at the end of which are located a suit of rooms. The central room had a semi-domed apse and columns, which with the elaborate entrance to the structure indicate that the palace could have belonged to the Fatimid Caliph or one of the regional governors. It has also been suggested that the palace may have once served as a rest house for the Fatimid Caliph al-Muizz while he was on his way to Cairo in 972 AC, but this cannot be confirmed and it was probably based on historical data. Currently the palace is mostly in ruins. But according to Pacho, who visited he palace in 1824 AC, the structure had more walls and most of the corner towers were present in his engraving, with damaged roofs and surrounded by rubble. All it remains today is what you see in the following photo which was taken in 2009. The surviving massive walls indicate that the building was put up at a time of some prosperity. The ruins of the Ajdabiyah Fortress Palace. It is believed to have been a place where Imam al-Muizz rested during his journey to Cairo in 972 AC. Photo: http://www.Temehu.com. Please click photo for more information about Islamic sites in Lybya. A close up of the ruin. Restoration work was carried out in 1952. Photo credit: http://www.temehu.com. Please click photo for more information about Islamic sites in Lybia. The Fatimid mosque at Ajdabiyah is known primarily through excavations carried out in the 1970s. The following photo shows a section and fragments from the mosque. A corner section, inscriptions and fragments from the Ajdabiyah Fatimid Mosque. The middle inscription records a "waqf" and is dated to 932 AC. Photo credit: http://www.Temehu.com. Please click image for more information about Islamic sites in Libya. 1. Photos of al-Mahdiya by Glyn Willett, United Kingdom. 2. 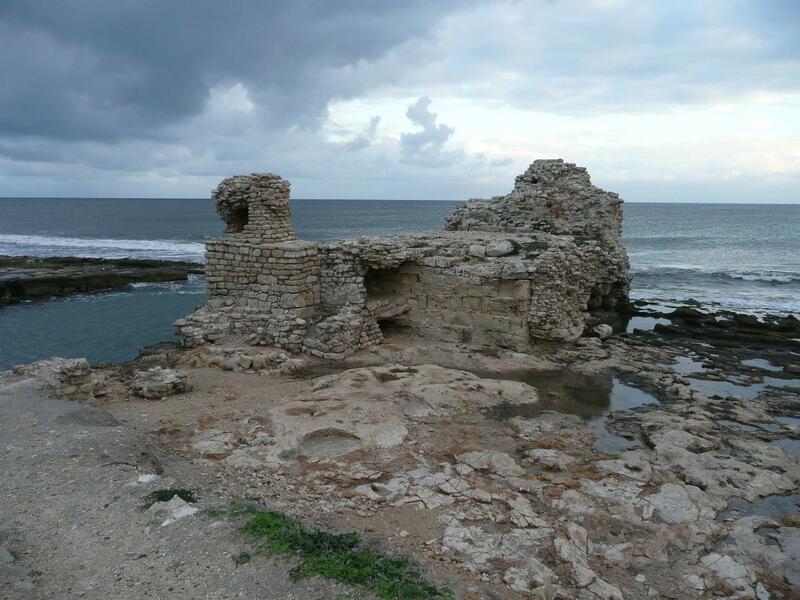 Photos and text of Ajdabiyah Fortress Palace and mosque fragments produced from http://www.temehu.com/islamic-tourism-and-mosques.htm. Temehu aspires to provide a comprehensive and informative web site containing everything their visitors will ever need to know about Libya. Hi, I would like to order books on Fatemi dynasty and historical books on Imam Mehdi. I am in Houston ,Texas,USA. These pictures do take you into the past, with the task for the future, and to remember what they had to sacrifice. Now let us build these bonds together from more than forty countries where we all reside. For those people who haven’t been to Mahdiya I would like to state that it is a place well worth a visit. It’s a small town. 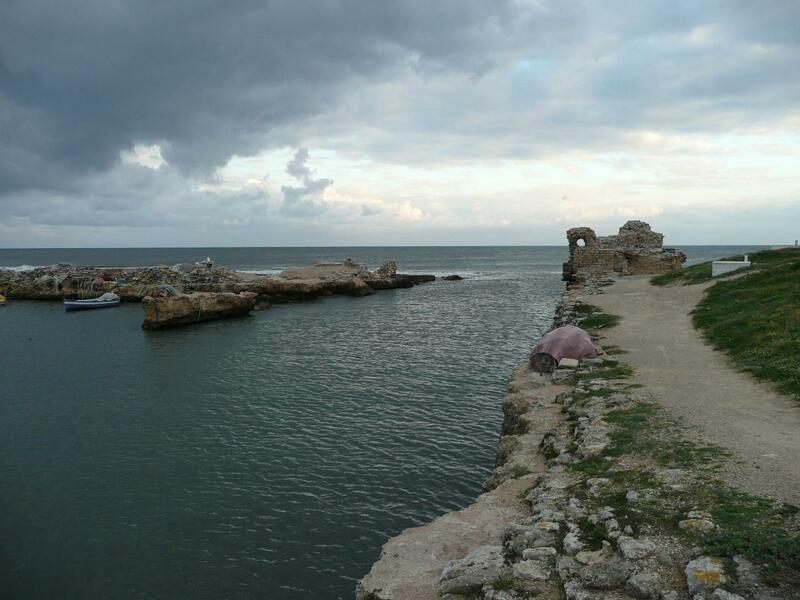 The Fatimid ruins and especially the cemetry and a gate still exist on the sea front though in a limited number,as most of the stones from the ruins have been stolen and used up by the locals over the years for purpose of building their own properties. Being a desert country, Tunisia has only sand and no stones. 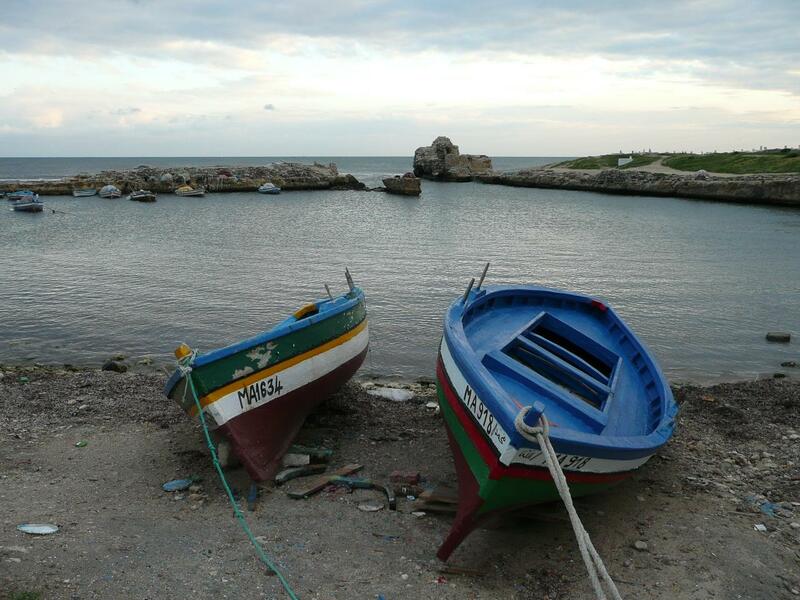 Our Imams had brought stones from across the Mediterranean Sea, possibly Sicily. It is a very beautiful spot indeed. During the time the French held the territory, they reconstructed the Fatimid mosque from what was left of it, not far from the sea front, but more than that they have established a Museum of the Fatimids which is a must for every Ismaili. In the Museum they have exhibited artefacts and pictorial depiction of historical facts including the lifestyle of the Fatimids in those days. There is also a machine which was usedespecially for, and still survives, weaving the best silk for purposes making clothes for the Imams and their families. I recommend the Mahdiya for those who have not been there. I fear that most of our people associate Fatimid Rule with Cairo, whereas the original settlement had taken place in Mahdiya in Tunisia. 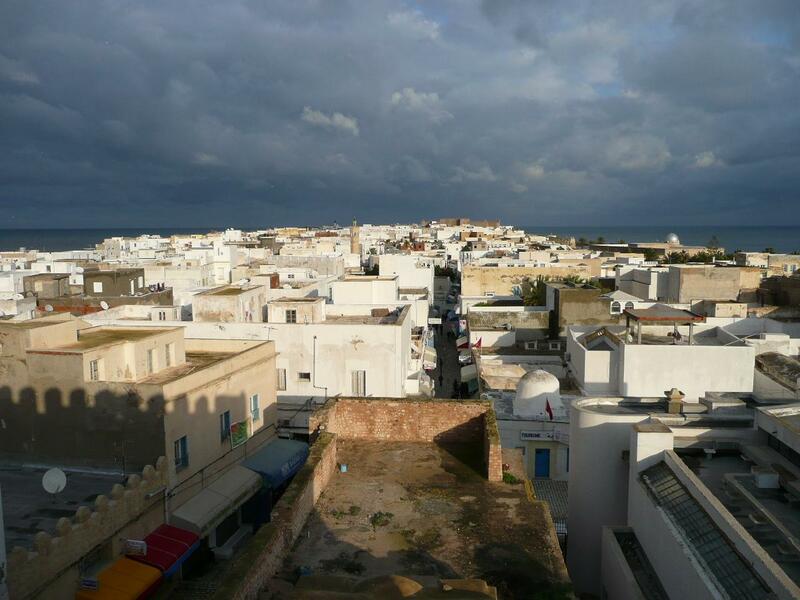 There are a number of centres in around Tunisia which have been mentioned in our historical books, e.g. Kayrawan. There is also a Collegein Tunisia which is now of course Sunni. One of Prophet Muhammad’s close associates migrated to Tunisia and established this college and a mosque there. His grave is in the compound of the mosque. It is also interesting to note that in those days men and women prayed together side by side. There was no segregation. Thank you for sharing this awesome historical site with us. There is always hope that such sites could be restored for us and generations to come. This is so fascinating as the whole of Fatimid era is regarded as the Golden Age of Islam by Professor Farhad Daftary in his massive research on The Isma’ilis. The quote at the top is not quite accurate. Cairo was founded, and not conquered. Indeed, Egypt was conquered, and Cairo was then founded as a new city. There has been no mention of Sicily (*Palermo). I was told that it was the capital before the Fatimids conquered Egypt. Perhaps someone might wish to clarify that. Re: Palermo. In The Historic Cities of the Islamic World Clifford Bosworth notes that Fatimid Governor al-Kalbi seized power at Palermo in 948 AC and established local dynasty under Fatimid suzranity which lasted for a hundred years until 1050 AC. The period of Kalby’s supremacy is for Palermo, as for the whole of Sicily, “the most brilliant in the Arab era.” Bosworth also notes that the citadel of Khalisa was built under Imam al-Mahdi’s reign, when he sent an expedition led by Abu Said in 916-917. However the city of Palermo never became the Fatimid capital. Kayrawan, briefly, and then Mahdiya and Mansuriyya were the capitals until Egypt was conquered. Cairo was then founded and became the capital of the Fatimid Empire. A great history of the Ismaili Imamat and the community. I am sure AKTC is looking into it with a view to restoring some or all of the ruins.